In today's upside-down world where good is bad and bad is good, it takes a superhero to dodge oncoming bullets and survive as a stay-at-home mom. This is the place to celebrate your larger-than-life status! Get homeschooling tips, ideas for crafts and cooking, and inspiration to make it through the day. I'm a fellow Superhero Stay-at-Home Mom, a former preschool and kindergarten teacher with a master's degree in special education, and the mother of two sons, one with autism. Most of us have heard that anxiety and depression are on the rise among teenagers and young adults, but did you know they're also afflicting children? There's a plethora of complex societal reasons why this is the case: broken homes, bullying, social media, technology, violence on TV, video games, and in music. 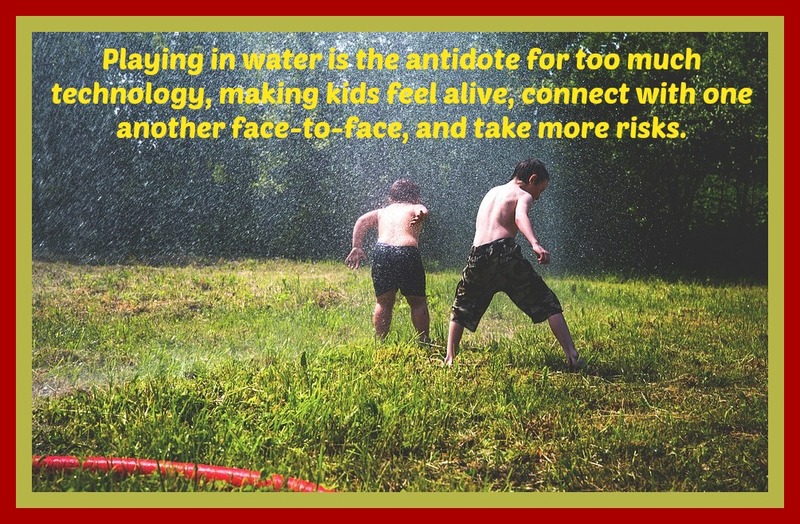 However, there are also two simple explanations: not enough play and not enough outside time. Fortunately, these are two areas where moms and dads have a lot of control and can easily make a huge difference, especially during the long and lazy days of summer. When my siblings and I were growing up in the 1970's, playing outside with kids in our neighborhood was a daily occurrence, especially during the summer. We'd slide down a weedy hill on pieces of cardboard, play hide-and-go-seek with flashlights when it got dark, run through the sprinklers in our bathing suits, and move cans and boxes of food from our pantry to the backyard to set up a pretend grocery store. 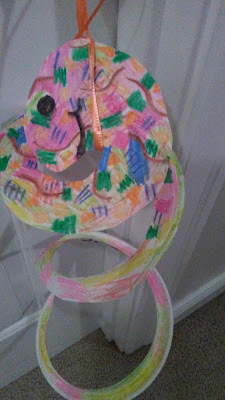 In a fun and organic way, we were doing what parents now pay big bucks for at summer enrichment camps: thinking creativity, solving problems, taking risks, communicating our ideas, and working cooperatively as a team. It cost our parents absolutely nothing but gave us a priceless education as well as wonderful memories to last a lifetime. According to the Alliance for Childhood, youngsters today spend 50 percent less time doing unstructured outdoor activities than kids like me in the 1970's. Without the healthy benefits of sunlight, exercise, and social interaction, youngsters today are more susceptible to depression, anxiety, stress, and isolation. They need face-to-face contact with other children to increase their sense of well-being, not phony Facebook friends and superficial Instagram posts. With this in mind, here are 10 super easy but super fun water-play activities to do with your kids this summer. Put the gadgets away, live in the moment, and return to a simpler time. Invite friends and neighbors over to have a blast, knowing all the while you're promoting a healthy lifestyle for these children. They may not thank you now, but they'll remember it well into the future. 1. Instead of an old-fashioned egg toss, do a sponge toss. Have kids line up facing a partner. Toss a wet sponge back and forth, taking a step backward after each throw. When the sponge is dropped, that pair is eliminated (this is best played on a very hot day with everybody in swimsuits or t-shirt and shorts). 2. Do the same as above but with water balloons. 3. Have a water fight with squirt bottles, squirt guns, water balloons, and hoses. 4. Make a water pinata. Fill a large plastic bag with water and hang it from a branch. Blindfold children one at a time and let them strike it with a stick or bat. 5. Play "Duck-Duck-Goose" with a twist. Have everyone sit in a circle on the ground. Have one player touch each person on the head while saying "duck." However, in this version, the player touching heads also carries a cup of water. When he picks someone and says "goose," he pours the water on that player's head (this game is a lot of fun on a hot day but isn't for everyone. Some kids just like to sit on the sidelines and watch, which is just fine)! 6. Have water relays. Divide everyone up into two teams. The first two players run across the lawn carrying a paper cup full of water and dump it into a large bowl or small bucket. They then rush back and tap the next runner who now runs with a cup of water. The first team to fill their bowl/bucket wins! 7. Get a large bag of sand at your local gardening/landscaping store. Place it in a hard plastic kid pool. 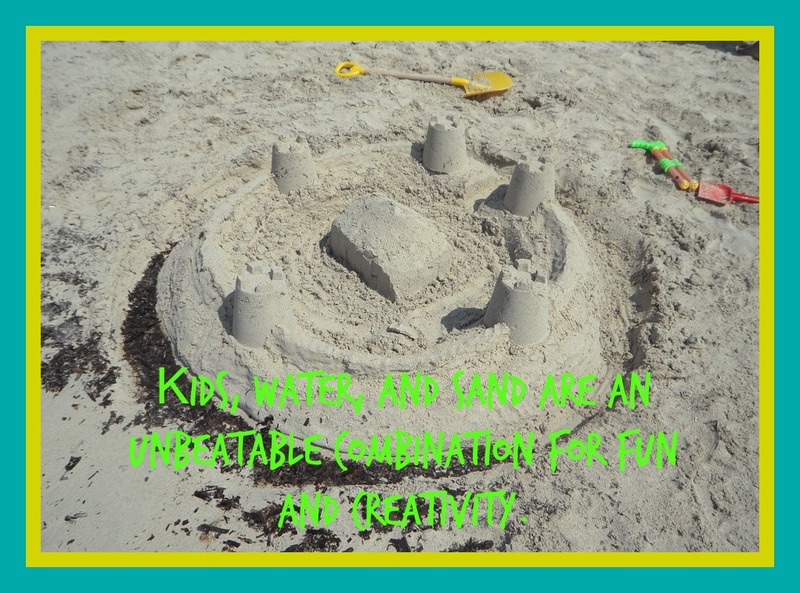 Let the kids pretend they're at the beach by adding water to build castles, make moats, and create bridges. 8. Construct an obstacle course with water features. Let the kids use items from around the house: chairs, ladders, hula hoops, a min-trampoline, ropes, tables, etc. Let them use squirt bottles, hoses, and sprinklers to add parts to the course where participants get wet. 9. Use spray bottles filled with water to squirt ping-pong balls across the lawn or driveway. Have races! 10. Give the kids lots of ice cubes and let them build sculptures using salt. Every household with kids needs a fun sprinkler and this one fits the bill. 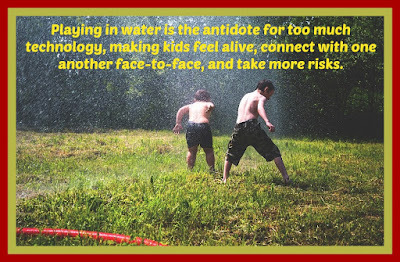 It's sturdy and releases spray in a fun way that children love, creating hours of water play on hot summer days. As someone who loves to write, finding it joyful and therapeutic, I think it's tragic that so many teenagers and adults loath it. Doing a writing assignment for them—whether it's an essay for school, thank you notes for wedding gifts, or a brief paragraph for a job application—is nothing but misery. This is sad because when they were little kids they probably loved it and found it empowering. Somewhere along the line, though, those feelings was obliterated. They were killed by a school system that taught spelling, punctuation, and grammar but failed to nurture a love of writing. Now, with the ridiculous push for academic rigor in preschool and kindergarten, it's likely even little kids will start to hate writing. Young children are naturally enthusiastic writers who happily churn out story after story. When they dictate tales to me, I furiously copy down their words but am barely able to keep up with the imaginative flow of thoughts. I marvel at how quickly and inventively their minds work and wish mine could do the same! Why would we want to impose anything on them that would deaden their creatively? Unfortunately, like so many things in early childhood education today, we risk turning a positive into a negative. This is certainly true now as we expect kids to write paragraphs in kindergarten and for what? It's the perfect recipe for making them detest writing only to get some measly immediate results with no long term benefits. They promote a child's imagination and storytelling abilities in a fun and organic way. They give kids an opportunity to experience the excitement of creating and illustrating their own stories. 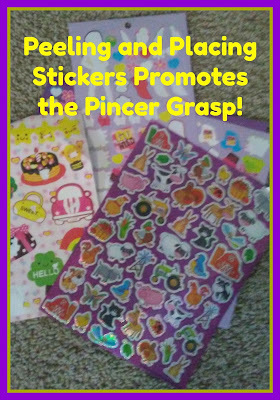 They're a wonderful way to enhance fine motor skills as children peel and place stickers on the paper and add details with crayons and markers. They strengthen the pincer grasp, which is needed to hold a pencil correctly and comfortably. 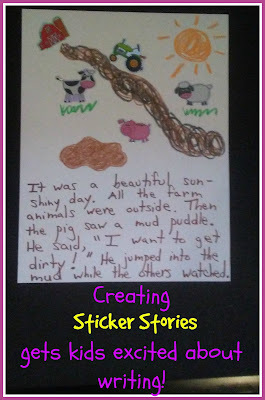 Have your child use stickers to create a scene on the white paper. Have your child use crayons and markers to add to the scene, making additions and details. Have your child dictate a story to you about the scene she created. 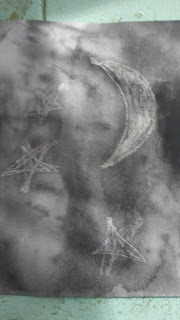 Write the words below the picture or on the back. Read the story to your child (she might want to hear it again and again)! 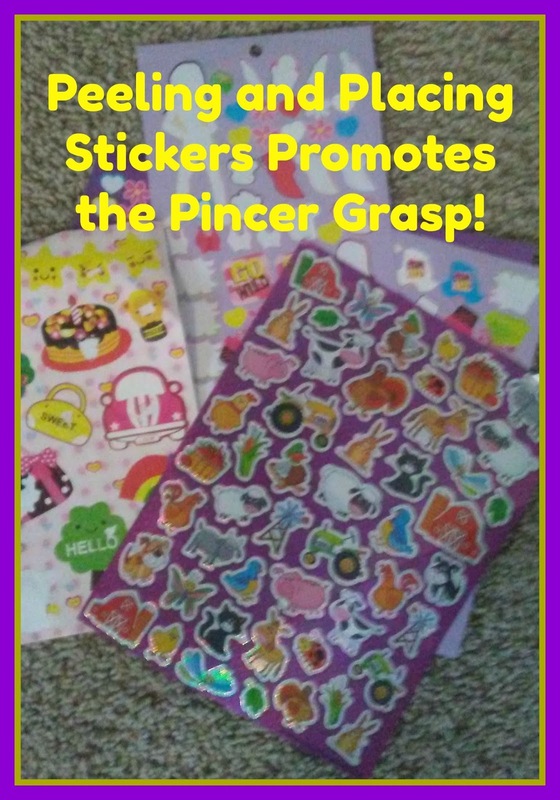 Post the Sticker Story on the refrigerator or add it to a binder to build a collection. **** Sticker Stories make a fantastic gift for grandparents! Having a son with autism made me acutely aware of the benefits of sensory activities for all children but especially those on the spectrum. My son's preschool teacher always had a sensory table going at his co-op where the kids could squeeze, twist, and roll play-dough, explore in sand or water, make shapes, letters, and numbers in chocolate pudding, and drive Matchbox cars through shaving cream. Like many other kids with autism, my son had a sensory processing disorder and was hypersensitive to touch. He avoided all messy play at preschool even though it would have benefitted him greatly. That's why I kept my eye on the sensory table and would do the activities with him at home, slowly and gently getting him familiar with the new materials and the peculiar way they felt on his skin. Painting with his fingers and hands eventually became one of his favorite sensory experiences, and we did it once a week for many years. While first reacting negatively to the feel of the paint on his body, he gradually came to enjoy it. I'd put on some soft, soothing music and let him enjoy the creative process, making pieces of art to give to his grandmother, dad, and teacher and well as some to display on our refrigerator. Whether your child is on the autistic spectrum or not, all kids need to explore and learn through their senses. It's how they first come to understand the world around them through sights, smells, sounds, touches, and tastes. When they become confident about sensory experiences, they become confident in themselves. They're bolder and more willing to take chances. Plus, sensory activities are just a lot of messy fun and can be followed up with another fabulous sensory activity -- a bubble bath! 1. Cover the table with newspapers. 2. Put different colors of paint in the saucers. If you like, mix some to make new colors. 3. 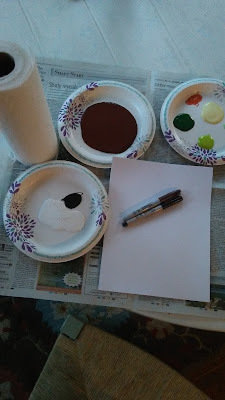 Dab your fingers in the paint and then press gently on the white paper. You want to be able to see the swirls and lines of your finger tips. 4. Then experiment with your thumbs, the side of your hand, your fist, and your palm to make a picture. 5. When you're done, let it dry completely. 6. Now you're ready to wash up or, better yet, take a bath! 7. When you're all clean, use markers or crayons to add details. Ta-dah! Poster paints are a must-have item for your art cabinet. You'll use them for so many cool projects. They're great to have on hand for a rainy day or a play date. This kit is fabulous with its bold, bright colors. 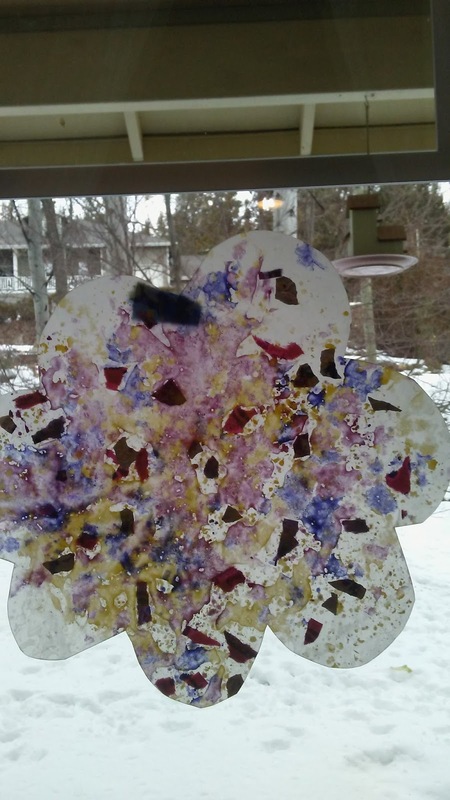 It's challenging to find simple art projects to do with preschoolers. Too often they're complicated and the parent ends up doing more than the child, defeating the purpose of the project. 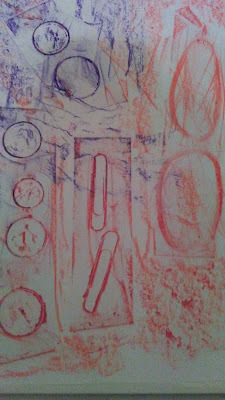 After all, art should stimulate creativity and promote independence. It should be an expression of the artist, not the artist's parent! 1. 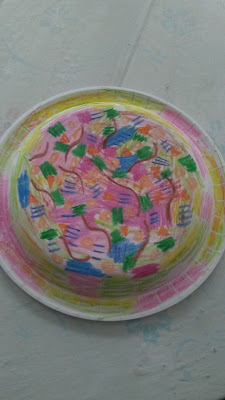 Have your child use lots of different colors to create a design on the front and back of the paper plate. 2. 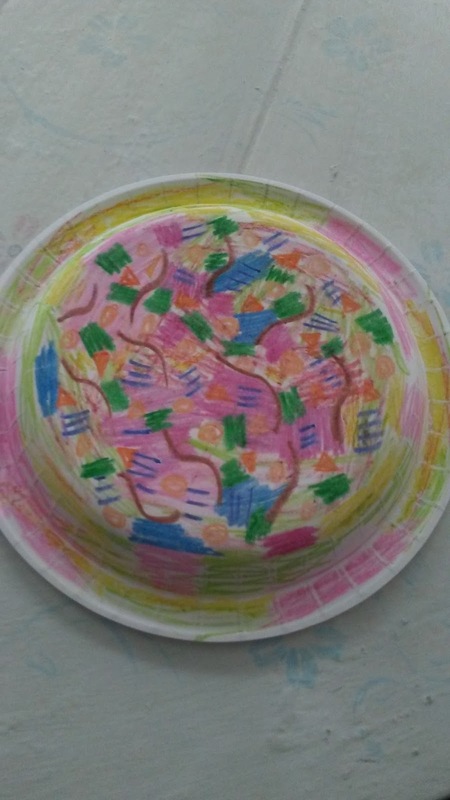 Help her cut the plate around and around in a spiral, starting thin and getting thicker. Make the last part bigger and rounder for the head. 3. Have your child add an eye and a mouth. 4. Help her tie a piece of yarn or ribbon around the neck and hang it up for everyone to see. This portable art kit is fantastic for the kid on the go. She can take it on road trips, sleepovers, and family vacations. It will keep her occupied and relaxed in the car, the tent, or the motel. She can even take it along to the dentist or doctor's office to stay relaxed while waiting. The benefits of coloring are numerous. It enhances fine motor skills, strengthens hand muscles, improves the pincer grasp, calms the nerves, and soothes the soul. While coloring books offer all that, they do little to stimulate creativity and promote initiative. Here are 3 easy activities with crayons that let kids explore different materials and use their imaginations to make something truly unique. They're simple to do, engaging and fun. Get two or more crayons that are about the same length but different colors (brights look best). Line them up with the points facing the same direction and wrap masking tape around them (or wrap a rubber-band tightly around them). 3. Now let your child color with the wrapped crayons, making whatever she wants, changing color combinations and exploring shapes and design. Place some masking tape loops on a table, sticky side up. Put some textured items on the tape. 3. 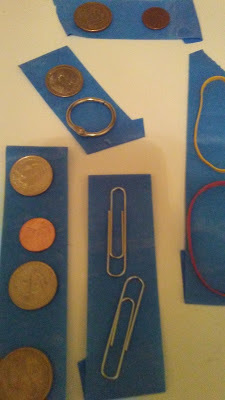 Place a piece of lightweight paper over the items. 4. 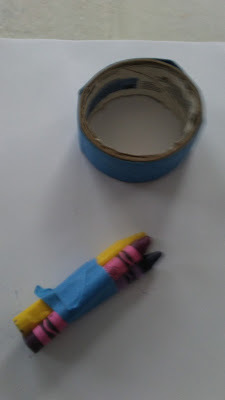 Have your child color over the paper with the side of a crayon. Use different crayons in various colors. Watch her delighted reaction as the objects gradually reveal themselves! 1. Tear off two pieces of waxed paper. 2. 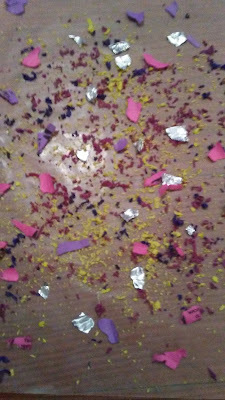 Help your child grate shavings from old crayons onto one piece of waxed paper. Use 3-4 different colors (brights look best). 3. Have her add tiny bits of colored paper and aluminum foil over the shavings. 4. 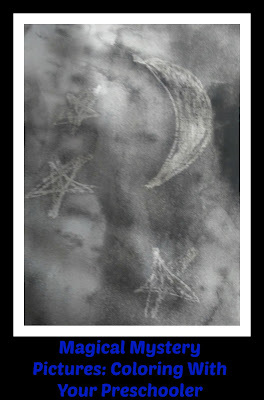 Place the second piece of waxed paper over the first. 5. Cover both pieces of waxed paper with a dishtowel. 6. 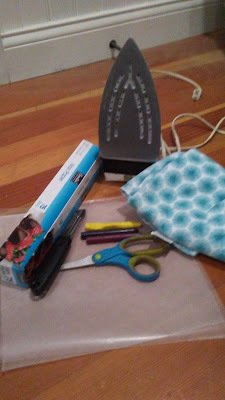 Let your child watch as you press a warm iron over the towel, making the waxed paper and crayon shavings melt together into a beautiful creation. 7. Help you child cut her creation into a shape of her choice: a flower, a star, a heart, a balloon. 8. Tape on a sunny window for all to admire! Kids get so many wonderful benefits from coloring. It stimulates their imaginations, eases their stress, and promotes their fine motor skills. This kit of crayons makes a wonderful birthday gift for children of all ages. Teachers get enough mugs and would prefer something else. I'm grateful that you let us have “Fun Fridays” when we can paint, color, and draw. I'm grateful that you explain the math assignment slowly and clearly and help me with problems I don't understand. I'm grateful that you're always available after school so parents can talk with you. I'm grateful that you always make creative bulletin boards to display our work. I'm grateful for your big welcoming smile on Monday mornings. I'm grateful that you give rewards stickers. I'm grateful that you read books with such passion. I'm grateful you let me feed the class fish. I'm grateful you let me read my stories out loud to the class. I'm grateful that your parent-teacher conferences are organized and informative. This means so very much to a teacher because, unfortunately, we hear more complaints from parents than compliments. Moms and Dads take too much for granted and don't make the effort to acknowledge all we do. I once taught kindergarten with an amazing young teacher named Maddie, who always went above and beyond for her students. She was the most energetic and creative educator I ever knew and a natural at it. She was born to teach. Each year in March Maddie would celebrate Dr. Seuss's birthday with her class by making green eggs and ham. One year a boy who was Jewish ate the ham. When his dad found out about this, he came storming into the classroom (I was next door) and started to rage at Maddie like nothing I had ever witnessed in my life. Maddie was worried for her physical safety as he swore, cursed, and accused her of “soiling” his son. No matter how many times she said “I'm sorry,” he kept berating her with his uncontrolled fury as I listened, ready to call the police. I tell this story because I don't think most people today understand how badly teachers get treated. There was a time when education was a lofty profession, and those in it were admired and respected. But those days, unfortunately, have long since passed. More and more is expected of teachers now—preparing students for high-stakes testing, keeping them safe from school shootings, protecting them from online bullying, and being super vigilant about the warning signs of suicide. After that horrific experience, Maddie was never the joyous teacher she once was and, at the end of the year, she left the profession for good. She had no problem securing a higher paying position in a tech company. She was replaced by a teacher who never did cooking projects, who never celebrated Dr. Seuss's birthday, and who just stuck to the basics. We need parents to stand up for teachers and show their appreciation—during the holidays and throughout the year—or more Maddies will be gone. Teachers are constantly battling sugary high caloric treats in the faculty room. They'd prefer something healthy like this fruit and nut tray over cookies or cake. After years of getting relegated to the sidelines, coloring has gained huge popularity in the last few years and rightfully so. Today, adult coloring books get sold at supermarket checkouts, middle schools have coloring clubs, and occupational therapists encourage all kids to color, not just those with special needs. 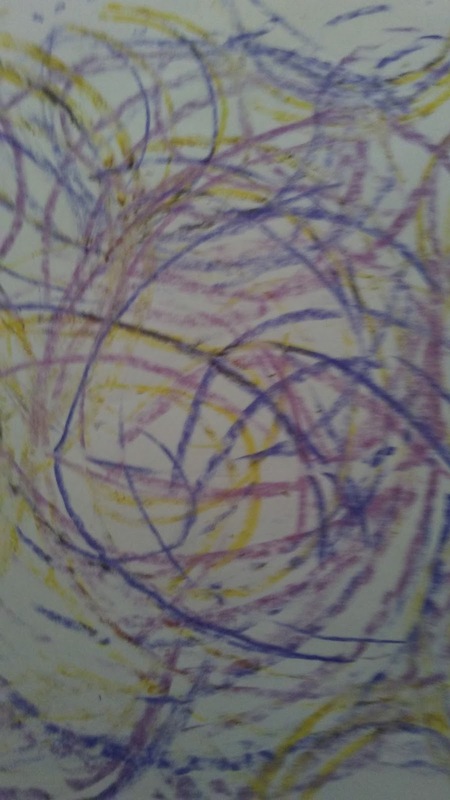 We now see experimenting with crayons as a wholly positive experience – helping us relax, enhancing our fine motor skills, and stimulating our creativity. As a preschool and kindergarten teacher, I've always known the benefits of coloring and got concerned when it became marginalized. With our country's push for academic rigor, higher test scores, and technological prowess, coloring got seen as old-fashioned and a waste of time. Fortunately, parents and teachers are now recognizing its value once again. 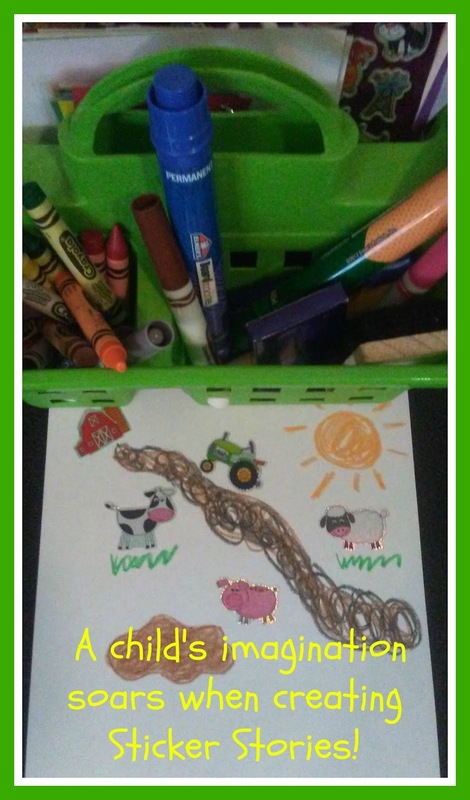 They realize coloring is crucial for developing other fine motor skills such as writing, cutting with scissors, stringing beads, and tying shoelaces. While coloring books are good, there are many more creative ways to use crayons. 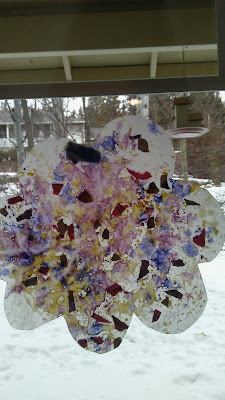 Making Magical Mystery Pictures was one of my favorite activities to do with my sons when they were preschoolers. It was so easy but brought them so much joy. We'd often do it in the afternoons as a relaxing prelude to nap time or in the evenings before taking a bath. Enjoy! 1. Get a white piece of construction paper and a white crayon. 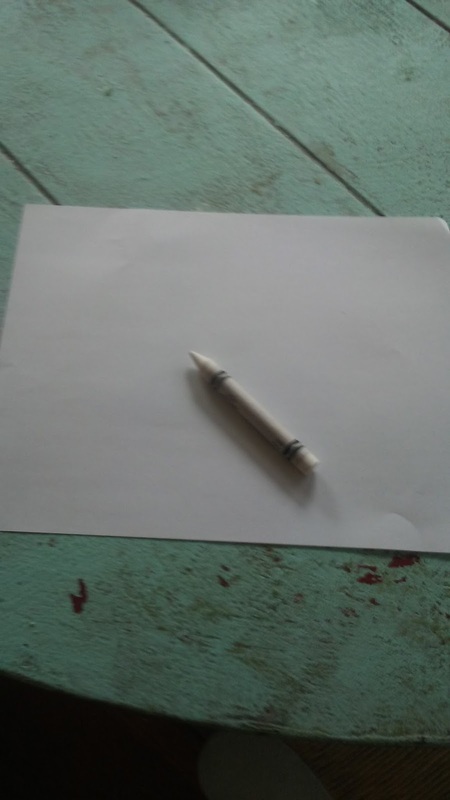 Without your child watching, draw a picture on the paper with the white crayon. Press hard. For my sample, I drew a crescent moon and some stars. 2.Grab some paint, water, and a brush. I chose black paint for my picture. 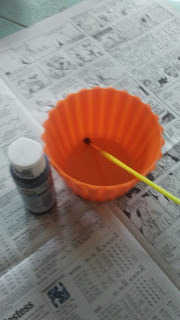 Mix the water and paint. Cover the surface with newspaper. 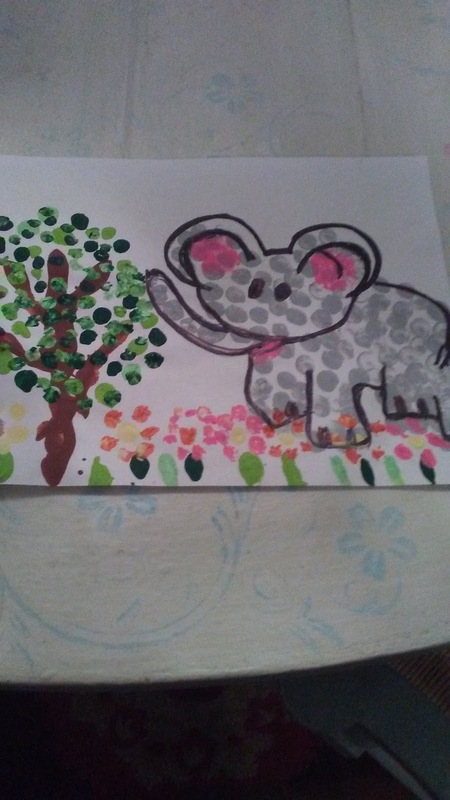 Then have your child paint over your crayon drawing. 3. Your child will get so excited when the picture magically appears! Every youngster needs a high-quality art kit and this one fits the bill. It includes 140 pieces: crayons, pencils, markers, and paper. With its sturdy handle, your child can take it anywhere: outside to get inspired by nature, in the car during a long drive, to Grandma's house for an overnight. Give your youngster a gift that will inspire her for years to come! copyright Nancy Mitchell. Watermark theme. Powered by Blogger.